ArthroSoothe for Joint Health is a synergistic formula made up of some powerful nutraceutical compounds that can improve the joint health. These compounds inside the ArthroSoothe capsules will help lubricate the joints and can repair the small inflammations there. The fluid which causes the swelling in the joints will be ridden off. ArthroSoothe capsules will help the person move freely without immobility caused by joint pain caused by any reason. ArthroSoothe for Joint Health provides all the necessary building blocks to repair and keep the good health in the joints. It will also prevent the immune system from attacking its own cells that usually leads to the inflammation. ArthroSoothe dietary supplement are manufactured by Designs for Health, a company that was founded in 1989 and has produced many health improving products thus far. It focuses mainly in the dietary supplements and makes quality products using natural ingredients. They are safe to take without many side effects and can easily be part of the daily diet. The usual causes for joint tissue destruction are age, certain types of activities, diet, medications used, immune response, some infections, toxins, stress etc. These factors and the free radicals can work together to cause tissue damage which usually causes the pain and inflammation in the joints. There also is chemical imbalance inside the body that leads to joint ill health. The excess synovial fluid in the joints will affect the cartilage, ligaments, and tendons in the joints. The excess fluid will cause swellings and put pressure on the tissues, making it painful to move the affected part. This excess fluid is caused by imbalanced diet, age, stress, and use of certain medication. Inflammation in the joints is caused by injury due to excessive activity. There also are the reasons like low anti-inflammatory fatty acids or the excessive presence of inflammation causing compound in the body. The oxidative stress happens as a result of excess free radicals roaming around. These free radicals are formed due to inflammations, infections, diet changes, excess oxidized fats and other toxic elements in the blood. The auto immune response is another common cause for the joint pain. Here the immune system attacks the body cells at a wrong trigger that destroys the tissues, leading to inflammation and swelling. The rheumatoid arthritis or lupus are examples of such condition. The catabolic factors involve the chemical imbalance arising due to stress or use of certain medications. Both these factors cause a rise in the inflammation causing chemicals and a decrease in the good ones that can counter the negative effects. 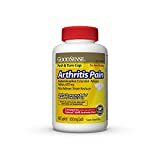 ArthroSoothe for Joint Health capsules contains tissue regeneration factor that will repair the damages in the connective tissue of the joints. It will also remodel the various parts of the joints, like the cartilage, tendons, ligaments and the joint fluid synovial fluid, to reduce the inflammation or swellings in the area. The difficulty in movements, especially of the knees will be restored sooner with the help of ArthroSoothe capsules. ArthroSoothe for Joint Health contains the building blocks for both the repair process and to reduce the discomforts in the joints. It has body/bone morphogenic proteins that are known as BMPs which will activate the cartilage formation process that helps in the tissue regeneration. Designs for Health ArthroSoothe contains antioxidants that can get rid of the free radicals that damage the joint tissues. These antioxidants reduce the wear and tear at the joints and in the spinal vertebrae. These capsules can promote the immune system to respond properly to the inflammations and causes inflammation. This will avoid auto immune response that causes the tissue damage. ArthroSoothe for Joint Health contains many essential nutrients, synergistic compounds, and herbal extracts to improve the joint health. It has activity from all the sides like reducing the discomfort, symptoms, and the repair. Most of the ingredients in the ArthroSoothe for Joint Health act as building blocks for the betterment and eliminating the problems. The minerals in the ArthroSoothe are in chelated form so that the body can absorb them easily and thoroughly. This faster absorption will prevent the salt formation and also eliminate the chances of gastro intestinal problems. The herbal extracts selected are all in known for their activity in soothing the sore joints. They can reduce the symptoms, help in tissue repair, and also take part in the excretion of toxins that causes the joint discomforts. There also are the collagen and mucopolysaccharides that are usually lost from the body if the patients suffering from rheumatism and arthritis. Vitamin B3 as niacinamide (500 mg) can trigger the natural tissue repair process and reduce the inflammations. It also serves as an alternative for side effects causing anti inflammatory drugs. Selenium (Selenomethionine) (100 mcg) is an antioxidant and at the same time can influence of certain enzymes that can prevent the cell damage. Zinc 10 mg- Zinc deficiency will carve the calcium out from the bones causing osteoarthritis. Restoring zinc will help reverse the situation. Copper 1 mg is added to restore its deficiency that might have caused the arthritis and other joint pain. Manganese (1 mg) is a cofactor in the formation of the synthesis of cartilage. N-acetyle L-cysteine (NAC) (200 mg) is a precursor for the antioxidant glutathione that can help rid of the free radicals that causes inflammation in the joints. 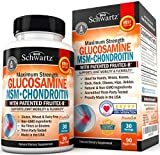 Glucosamine sulfate (1000mg) can relieve the pain in joints and can also slow down the cartilage degeneration. It also contributes to the proteoglycans to build the cartilage. Methylsulfonylmethane (MSM) 750 mg- MSM contains sulfur in the useful form. These sulfur are used to form the disulfide bonds that connects the glucosaminoglycans, the building blocks of cartilages. Cetyl Myristoleate 50 mg- It can inhibit the production of inflammation compounds such as prostaglandins and leukotrienes. The ester group in the CMO will increase its absorbency into the body. Hyaluronic acid (20 mg) lubricates the joints. Boswellia serrate resin 75 mg (standardized to 60% Boswellic acid and Turmeric 75 mg with 95% curcuminoids, both provides antioxidants and anti-inflammtory effects to reduce the pain and swellings. Resveratrol (Polygonum cuspidatum) 3 mg- Resveratrol is a powerful antioxidant that protects the cells and tissues against the free radicals. Collagen II 2 mg is added as the building blocks to create the cartilage. How does ArthroSoothe for Joint Health help in the recovery from these causes? ArthroSoothe contains compounds that can recover from the inflammation. 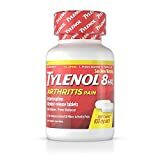 The ingredients such as some herbal extracts, niacin, resveratrol, the cetyl myristoleate etc can support the body in reducing the inflammation and in preventing a recurrence. The presence of turmeric and other essential nutrients like zinc, copper etc will get rid of the free radicals. They will also take the toxins away from the body and urges the production of the antioxidant enzymes in the body. Certain nutrients in the ArthroSoothe will ensure that the immune system works properly and also provides the necessary collagen to build the cartilage tissues in the joints. The essential nutrients in the ArthroSoothe will balance the joint fluid to keep it sufficiently lubricated and yet not overdo it. The recommended dosage is 4 capsules per day. The capsules can be equally divided and take at regular intervals. Many doctors do use ArthroSoothe along with fish oils to improve the new cartilage formation. A single bottle of ArthroSoothe contains 120 capsules that are enough for a month’s supply. The bottle must be stored in a dry and cool place. People with shellfish allergy must stay away from ArthroSoothe. ArthroSoothe is considered a safe supplement for joint pain. 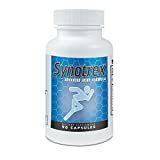 The ingredients are added in the most absorbable form to avoid lingering in the digestive system for long to cause any side effects of discomforts. So far no side effects are reported. People having shellfish allergy may have some discomforts while using ArthoSoothe so they better not use it. The ArthroSoothe cream is used as a compliment that can be used along with the capsules. The cream applied over the affected area will provide a cooling soothing effect. The cream is made with Aloe Vera gel, a herbal blend, MSM, CMO, hyaluronic acid, vitamin E, peppermint and tea tree oils etc. 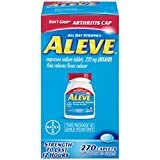 Is ArthroSoothe capsules available in Amazon? Yes, ArthroSoothe is available for purchase from Amazon. The shipment will be done in all countries that it is available. Other than Amazon, the ArthroSoothe capsules are also up for sale in other online stores that are in association with the Designs for Health. Are there discount coupons to buy ArthroSoothe? Yes, there are some discount coupons available for ArthroSoothe to get it at a cheaper price. 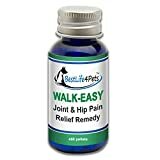 Is ArthroSoothe useful for dogs as well? Yes, many customers did state that they tried the ArthroSoothe on their pets and have got positive results. The capsules are primarily meant for humans and it seems to be effective in dogs as well.